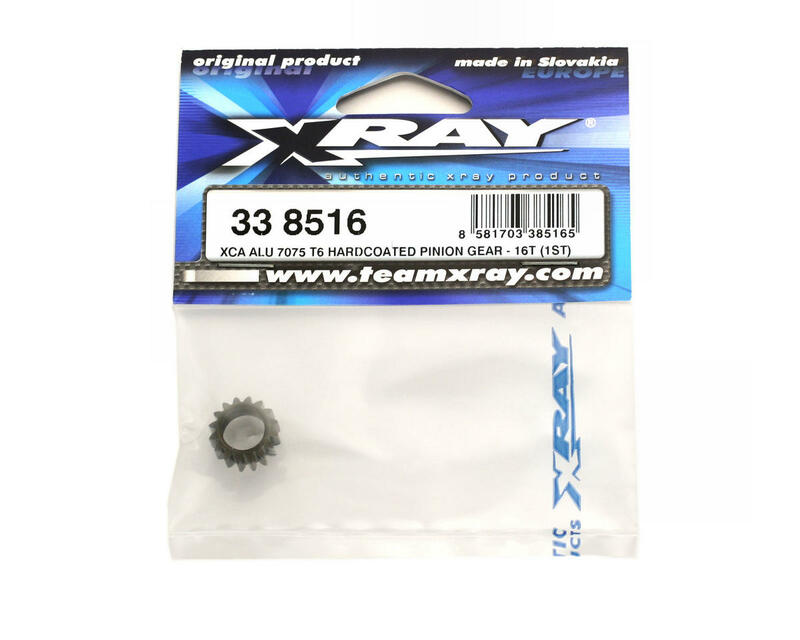 This is a replacement high-strength 16T pinion gear (1st gear) from XRAY. 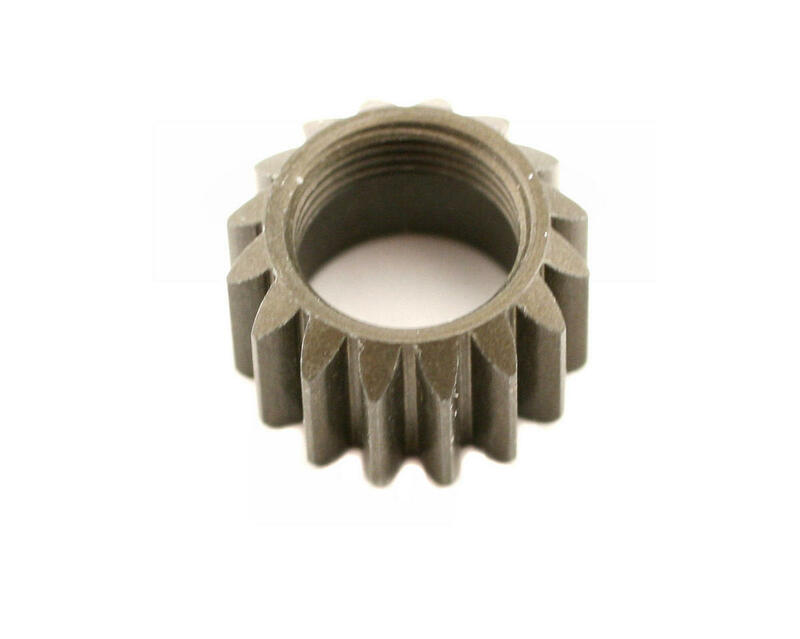 This pinion gear is made from tough 7075 T6 aluminum and specially hard coated for supreme strength, light weight, and high durability. Created on a special gear machine, all pinions feature ultra-precise tooth shaping and ultra-true running for vibration-free operation. Fine internal threading allows easy installation on XCA clutch bells (standard or lightweight versions). Each pinion is fine etched with the tooth number for easy & quick identification.